The first Nike shoe designed specifically for American Indians was showed at last. The company says the Air Native N7 is designed with a larger fit for the distinct foot shape of American Indians and a cultural-specific look. The Air Native will be distributed solely to American Indians in an effort to promote physical fitness among the population. Tribal wellness programs and tribal schools in the U.S. will be able to purchase the shoe at wholesale price and then pass it along to individuals, often at no cost. "Nike is aware of the growing health issues facing Native Americans," said Sam McCraken, manager of Nike's Native American Business program, which was created in 2000. "We are stepping up our commitment ... to elevate the issue of Native American health and wellness." All profits from the sale of the shoe will be reinvested in health programs for tribal lands, where problems with obesity, diabetes and related conditions are near epidemic levels in some tribes. Nike said it is the first time the company has designed a shoe for a specific race or ethnicity although it does measure a range of populations in shaping its products. Nike designers and researchers looked at the feet of more than 200 people from more than 70 tribes nationwide and found that in general, American Indians had a much wider and taller foot than the average shoe could accommodate. The average shoe width of men and women measured was three width sizes larger than the standard Nike shoe. As a result, the Air Native is wider with a larger toe box. The shoe has fewer seams for irritation and a thicker sock liner for comfort. It is aesthetically modest but features several "heritage callouts" as one product manager described it. A sunrise to sunset to sunrise pattern designers is on the tongue and heel of the shoe. Feathers designs adorn the inside and stars are on the sole to represent the night. And the N7 is a reference to the seventh generation theory used by some tribes to look to the three generations preceding them for wisdom and the three generations ahead for their legacy. The company anticipates selling at least 10,000 pairs and raising $200,000 (141,784 EUR) for tribal programs. 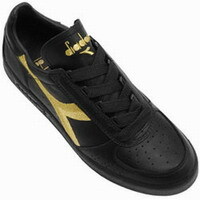 At $42.80 (30.34 EUR) wholesale, the shoe represents less of a financial opportunity than a goodwill and branding effort. The Beaverton company prides itself on designing specifically for certain athletes and having close ties to its customers. Nike has been involved with the tribal community for years, supporting tribal athletic teams, events and other social initiatives. Dr. Kelly Acton, director of the national diabetes program for Indian Health Services, said she was dubious of working with a corporation at first but said she was delighted with the result, saying Nike "bent over backwards" to design a shoe and respect public health needs.